I want to know who got the man of the series award for the India vs New Zealand test match series 2014. I can't find that in cricinfo. 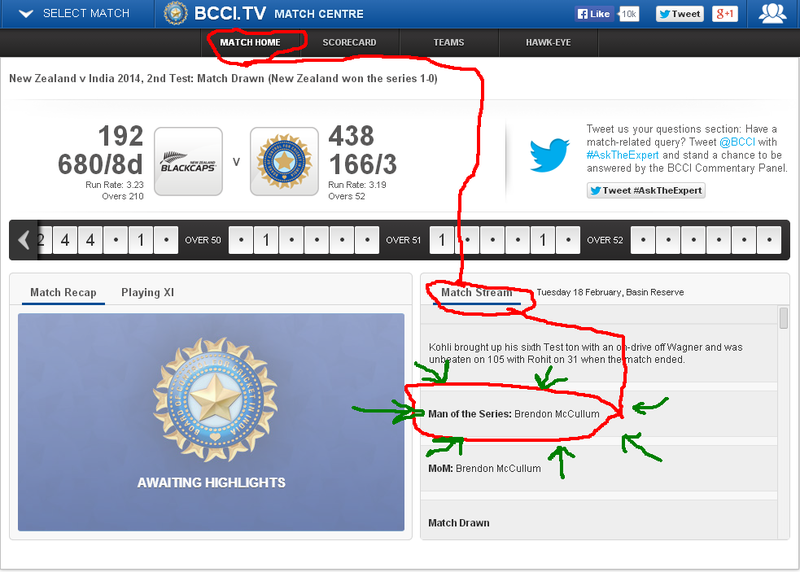 As per BCCI.TV Brendon McCullum was declared man of the series. Go to Match Home tab -> In the commentary box, search for "Man of the Series". Here it is clearly written: "Man of the Series: Brendon McCullum". See the screenshot here. Not the answer you're looking for? Browse other questions tagged cricket awards or ask your own question.